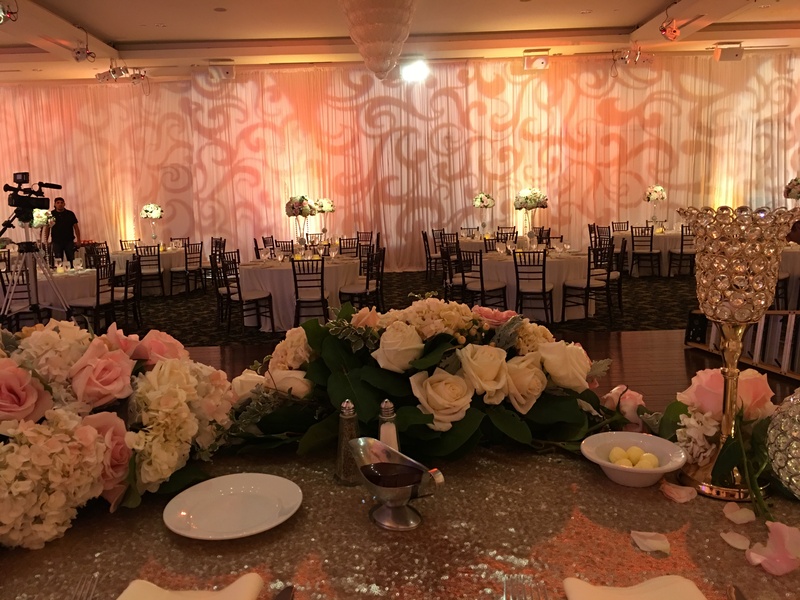 Robert and Cristina tied the knot on 02/02/2016 at the beautiful Westridge Golf Club in La Habra, California. 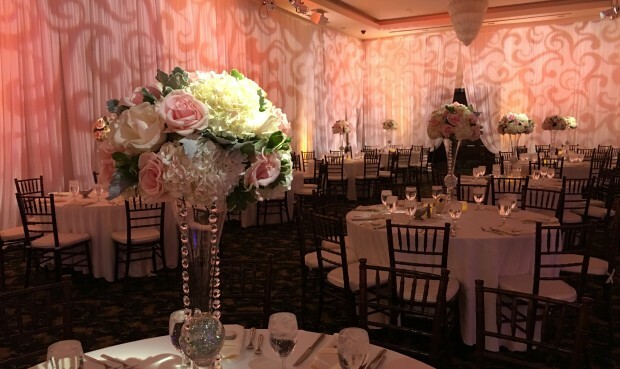 The wedding reception was so elegant and was carefully decorated by Bliss Entertainment Event Group. 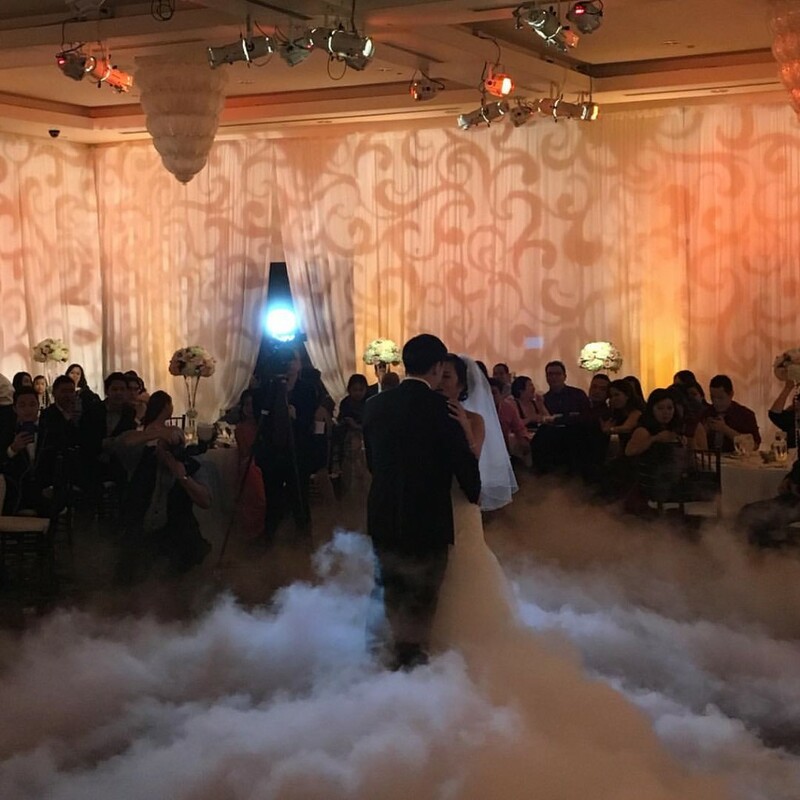 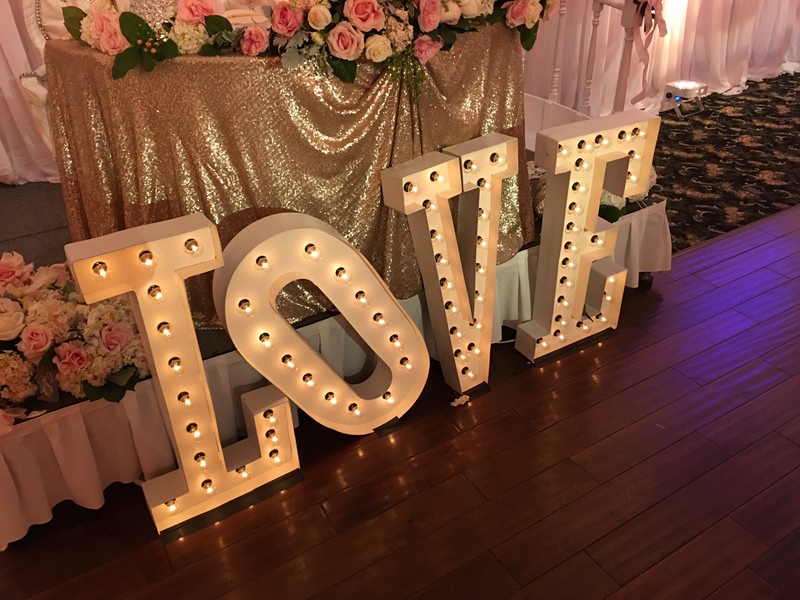 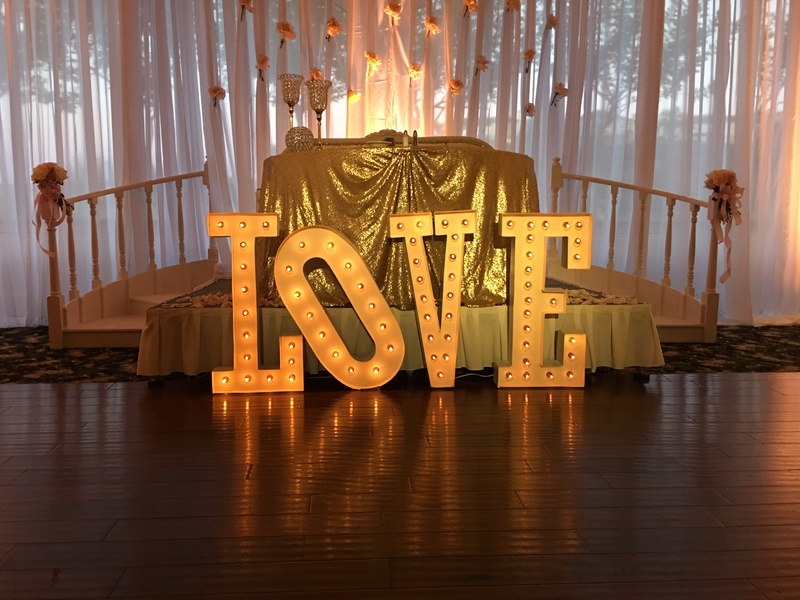 We provided Uplighting, Full Pipe and Drape to dress the walls in white chiffon, Pattern wash with a scroll pattern, gobo monogram projection, marquee letters and we made their first dance that much more special with our dancing on the clouds effect with 2 Chauvet Nimbus dry ice units.